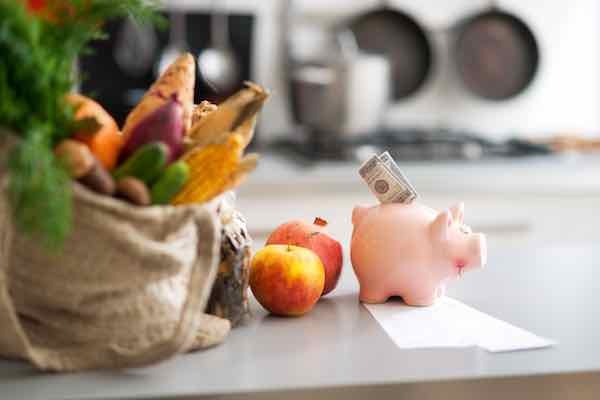 The Consumer Price Index for July, published last Friday, is giving us the first indication of what retirees may expect next year. Good news. After no cost-of-living adjustment in 2016 and only a 0.3% increase in 2017, Federal retirees and Social Security beneficiaries are on track for a better COLA in January. Bad news. Although the “best estimate from the Board of Trustees for Social Security is that the COLA for 2018 will be 2.2%”, inflation will have to grow rapidly in August and September to meet that estimate. Instead, the July numbers indicate a projected increase in the range of 1.5% to 1.7% in January, about the same percentage increase as in 2013, 2014, and 2015. What is affecting the current CPI-W All Items index? Comparing the July 2017 numbers to the average for July-August-September 2016, the overall inflation rate was affected by higher costs for housing (+2.7%), while costs decreased in categories such as new and used motor vehicles (-1.5%) and communication (-7.0%). The communication index includes such old-style items such as postage, as well as newer goods and services such as cellphone service, internet service, and personal computers (hardware and software). While the communication index is not a major expenditure for most households, the large drop in costs affected the overall index. Costs for new and used vehicles reflect declines in both categories. Lots of people trading in older vehicles for new ones has placed downward pressure on the used vehicle market, while dealer discounts and quality improvements (in areas such as safety) are reflected in lower new vehicle costs. For 2016, that average equaled 235.057, so any increase has to be above that number. The July index number came in at 238.617, which results in a current increase of 1.5%. A final calculation for the 2018 COLA will not be possible until the CPI-W indexes for August and September are published in September and October, respectively. If inflation suddenly jumps during those two months, it may be possible to reach Social Security’s estimate of a 2.2% increase. On the other hand, inflation might actually be slowing. For the first six months of 2017, the index rose 1.5%, while in 2016 it increased 1.9% over the same time period. One example of slowing inflation is medical care. Last year the medical care index was racing ahead at an annual rate of 4.2%. This year the index has slowed to a more moderate 2.7% rise over the 12 months ending in July. If gasoline prices moderate and there are no sudden surprises elsewhere, the overall index might stay below the Federal Reserve’s target of 2%, and retirees might have to settle for a moderate boost to their income next year. One more item to consider, although it is not technically related to the index. The third month needed to compute January’s COLA, the Consumer Price Index for September, is scheduled to be released on Friday, October 13 (Statisticians tend not to be superstitious.). If the government is shut down at the end of this fiscal year (September 30) due to either an impasse on the Federal budget or a failure to raise the debt ceiling, then the September CPI might be delayed. This happened back in 2013. The September CPI, which was scheduled for release mid-October, was delayed until October 30 because the government shut down until the middle of October. It delayed the final COLA calculation, but the 1.5% increase occurred on time in January 2014. Why Do Current Federal Employees Get a Higher Raise Than Federal Retirees?